Welcome to March! A month full of weather ups and downs, winter and spring, snow and rain, but also full of hope and sunshine, chirping birds and spring flowers! 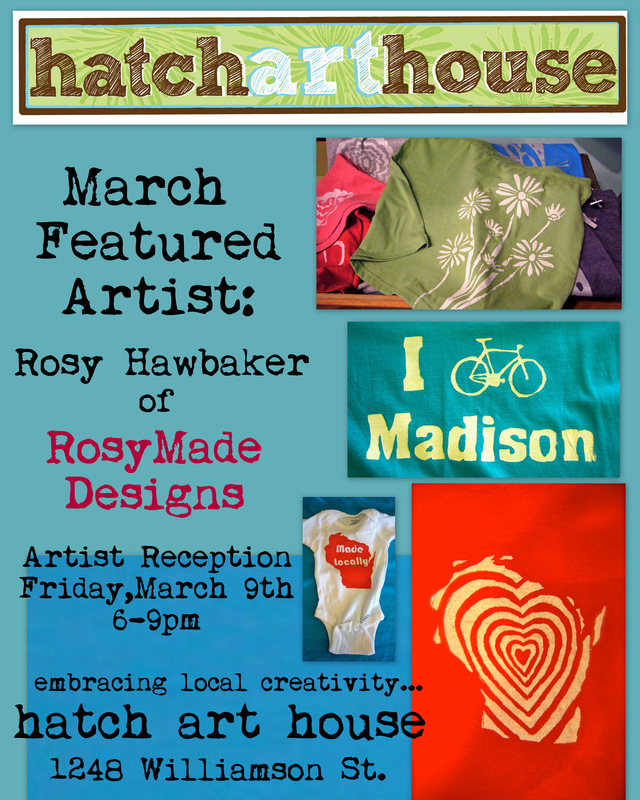 The March featured artist is Madison designer and screen printer, Rosy Hawbaker of RosyMade Designs. Rosy has a passion for reusing and refreshing thrift store t-shirts and other items with quirky and fun screen printed designs… creating a “new” item. Rosy will be showcasing her work at Hatch from March 1-31st.